If you read our first post about how to avoid nursing home care, you already know there are several ways you can help your aging parents avoid being placed in a nursing home unnecessarily. For a few more “outside the box” ideas, read on. For many families, lack of funds is the main reason loved ones can’t remain at home. If this is the case with you, here are a couple ideas. • Reverse mortgage –Rather than conventional mortgages, no part of a reverse mortgage loan needs to be repaid until the homeowner moves or dies. This means that all of the money from a reverse mortgage is at your disposal for in-home care – or any other expenses, as long as your loved one continues to live in the home. • Cash for life insurance – Check with your loved one’s life insurance to see if their policy can be cashed in with the company for 50 to 75 percent of the policy’s face value. Some policies permit “accelerated benefits” or “living benefits” only if the policy holder is terminally ill. You can also sell the policy to a life settlement company, called a “life settlement” or “senior settlement.” The amount of your settlement depends on the policy benefit amount, premiums, and condition of the policy holder. Medicaid is the medical insurance program for individuals with very low incomes and few assets, but does not include non-medical, long-term, in-home care as a standard part of its coverage. In recent years, however, Medicaid has begun to recognize that the alternative to unaffordable in-home care is nursing home care – which Medicaid does cover. As a way of allowing Medicaid recipients to stay at home (saving Medicaid nursing home costs), some states have established Home & Community Based Services (HCBS). These services offer Medicaid coverage for a limited amount of in-home care and adult daycare. Not every state offers HCBS, so contact your local Medicaid office at Benefits.gov to check out your eligibility. • In-home care or adult daycare – The VA provides several long-term in-home and community care programs, called “extended care.” These programs are available to veterans with a service-connected disability, or to veterans who have very low income. • Cash benefits – Depending on the nature of military service, existence of a service-connected disability, and income, veterans may be eligible for VA pension benefits, disability compensation, aid and attendance benefits, or household benefits. To get free information or assistance regarding any VA benefit, get in touch with the VA Vet Center in your state. 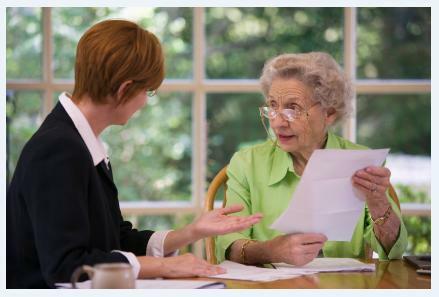 If your loved one needs regular monitoring but not 24/7 supervision, an assisted-living facility may be the way to go. Assisted-living facilities are significantly less expensive than nursing homes, often by half. For individuals with low income, or who need more in-home care than you can provide, ask about the Program of All-Inclusive Care for the Elderly (PACE). The PACE program provides full medical coverage, plus comprehensive community care. If your loved one meets the requirements, a PACE team will assess his specific care needs, develop a care plan, and be responsible for all medical and care services. PACE is only available in certain areas, so check Medicaid’s official website for a list of PACE programs. Whichever suggestions help you keep your aging parents out of a nursing home, remember to do a thorough background check on the caregiver you hire. With elder abuse on the rise, it’s very important you do everything possible to ensure your loved one’s safety. With ClearCare’s care management software, you have real-time visibility to daily care tasks. You can also check to make sure the caregiver has arrived at your parent's home on time, and receive alerts if something isn’t done as scheduled. ClearCare’s point-of-care system is a reliable homecare solution all families are sure to appreciate.